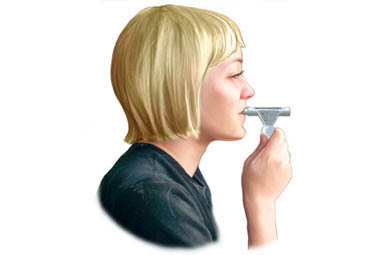 Asthma diagnosis. Asthma and Allergy Foundation of America website. Available at: http://www.aafa.org/page/asthma-diagnosis.aspx. Updated September 2015. Accessed September 8, 2017. Diagnosing & treating asthma. American Lung Association website. Available at: http://www.lung.org/lung-health-and-diseases/lung-disease-lookup/asthma/diagnosing-treating-asthma. Accessed September 8, 2017.